It's that time of the year, and there are several events to look forward to. Check them out below. Gear up, Kolkata, the festival of Durga Puja is here! Get ready to bring out your best outfits, dance to some crazy beats and indulge in some mouth-watering snacks. Here’s a list of some of the Durga Puja events in Kolkata. 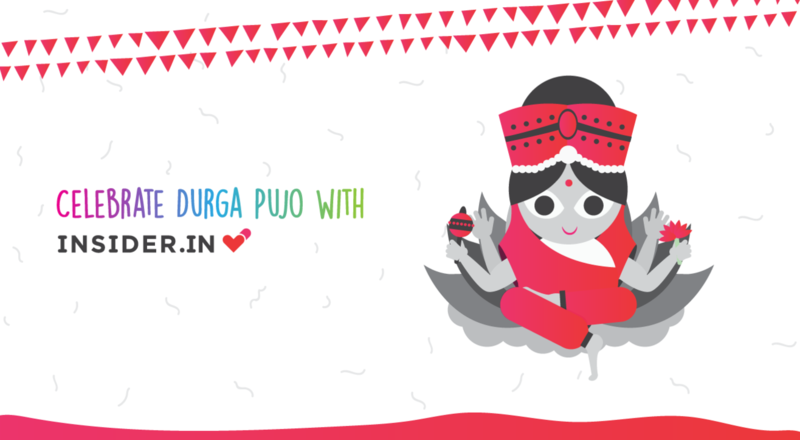 Buy any Durga Pujo event on the app and get Rs 50 cashback. (T&C apply). This festive season, look forward to gorgeous pandals, live performances, amazing cuisine and more: Get the best of both worlds with indoor banquets and outdoor stages. What’s more? You can also go on a tour of all the famous vintage Durga Pujas across Kolkata in one day! Find out more in the events above. Durga Puja is the biggest and most widely celebrated festival in West Bengal, among other states in India. The five-day extravaganza consists of stunning idols, brightly lit pandals, loud music and more. Be enclosed banquets, outdoor pandals or community pujas, Durga Puja is incomplete without the music and dance. While bigger gatherings consist of massive audiences with performances by well-known artists or DJs, the smaller events host a more low-key musical night. No festival in India is complete without a well-lit city and decked-up people! Similarly, the five-day spectacle has a whole set of beautifully constructed pandals, roads with bright lights and colorful decorations all over the city. While it might not be the best of time to go on a inner-city road-trip, the streets will look gorgeous - get those cameras out! At the same time, no festival is complete till everyone dresses up for it. In Kolkata, traditional sarees (such as the lal par saree, the famous red and white saree usually worn with a big red bindi) and dhotis are once again brought out of the closets. Pujo is highly anticipated in Kolkata and one of the biggest reasons is the food! For these five days, community pandals and organized events arrange huge buffets and numerous food stalls. The menu is a long list of traditional Bengali food that includes both vegetarian and non-vegetarian delicacies!